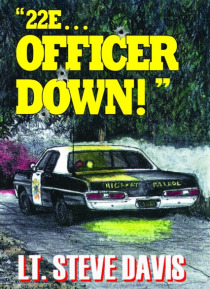 A FICTION mystery novel, featuring the California Highway Patrol, set in Eureka, CA in the 1970s. When California Highway Patrol Officer Sonny Tyler is gunned down on a rural Northern California road near Eureka in 1970, the Humboldt County Sheriffs Office puts their best man on the case. Detective Sergeant Don Regan, a rising star on the Department, works obsessively to solve the case and keep a … promise he made to Officer Tylers nine year old son, Casey. But the clues are few and they lead nowhere, and eventually the case, along with another seemingly unrelated gang murder that occurred the same morning, go cold, along with Sergeant Regans career, for the next seventeen years. When Casey grows up and joins the CHP, he returns to the small northern California coastal town in 1987, where he is thrown face to face with Alden Snider, the man most people believe murdered his father. When Snider appears to threaten Casey with the same fate, Casey becomes determined to learn exactly what happened that night seventeen years earlier. Soon Casey and the soon-to-retire Sergeant Regan team up to reopen the cold case, and Casey quickly finds himself and his loved ones directly in the crosshairs of the killer, leading to a final gut-wrenching confrontation between Casey and the killer, separated by the barrel of the biggest gun Casey ever saw.